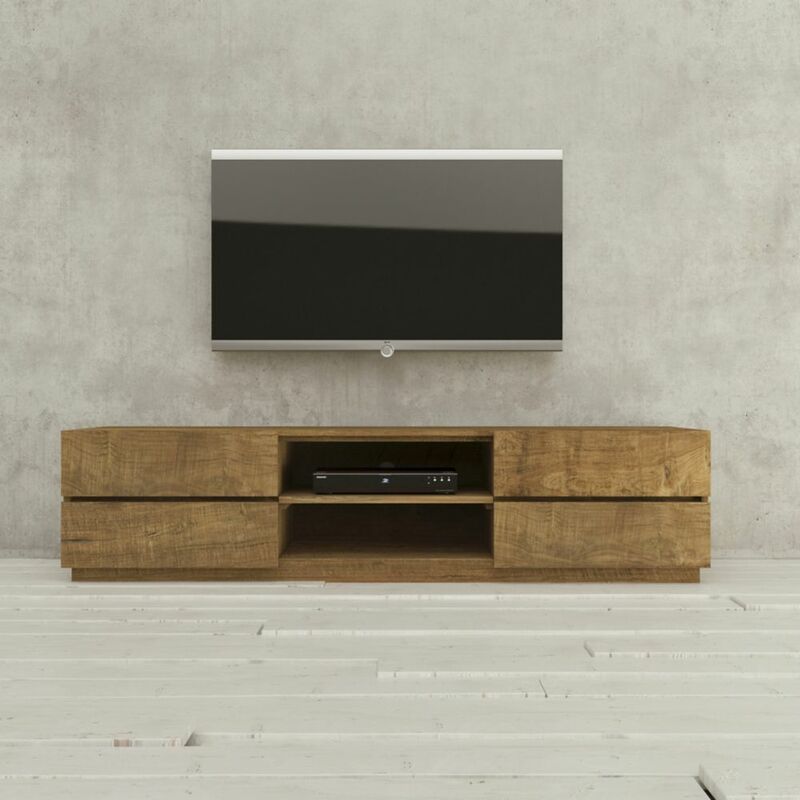 Fit any floor plan and space with this URBAN WOODCRAFT TV stand. Easily display a 51-inch to 60-inch television with this free standing TV stand. Gaming consoles, movies, and even speakers have a home in this piece. When mounting your TV to the wall isn't an option, the TTS100 tabletop stand provides the next best solution. Designed to sit on top of an entertainment center, this mount and base combo serves as an improvement to the basic stand included with most TVs. Its height adjustable support column allows you to raise the center of your TV up to 25.6 inch, providing room for a sound bar or other AV equipment. It also offers up to 600 of swivel to improve line-of-sight while seated at an angle. The TTS100 includes integrated cable management for a tidy setup and an optional safety tether for added security. Regardless of your floor space, this Nexera TV stand is sure to fit right in. The black free standing TV stand can hold a television up to 51-inch to 60-inch. A handy spot to store your movies, gaming consoles, and speakers. Fit any floor plan and space with this Nexera TV stand. The espresso free standing TV stand can hold a television up to 51-inch to 60-inch. Use this piece as a handy place to store movies, gaming consoles, and even speakers. No matter your floor plan, this Nexera TV stand will fit right in. Easily support your 51-inch to 60-inch television with this brown free standing TV stand. Has the ability to hold gaming consoles, movies, and even speakers. Burma 75-inch x 18-inch x 22-inch TV Stand Fit any floor plan and space with this URBAN WOODCRAFT TV stand. Easily display a 51-inch to 60-inch television with this free standing TV stand. Gaming consoles, movies, and even speakers have a home in this piece.